Okay so if you’ve known me for more than 4 years you know that I am sort of obsessed with the Olympics. I don’t just watch the opening ceremonies and a few events and call it an experience. I am actually clearing out our DVR this week so that I will have plenty of room for recording as much as possible. 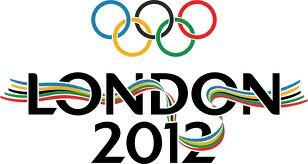 It’s something to do with the competitor in me, the patriot, and the dreamer but I LOVE the Olympics! So if you’re like me and want to learn all about the competitions, competitors, dates and times of all the events this is a great place to look, olympic.org . Nbcolympics.com is a great site for overall information as well. Gabby Douglas – gymnast, she is so cute and has a great attitude. I’ve watched her in a few competitions over the last year and I’ve been very impressed with her skill level, her determination and her attitude. Ryan Hall – He is an amazing athlete but most of all he is a Believer in Jesus! Meb Keflezighi – Another amazing marathoner who lives for His Jesus! Amy Hastings – runs the 10,000 Meters, don’t know much about her but excited to see her compete. Misty May Treanor – you have to be amazed by this gal, 4th olympics…they are incredible volleyball players! Margaux Isaksen – Modern Pentathlon, so I didn’t even know what this event was until this week but I’m interested! Click here to learn the basics of the Modern Pentathlon. Gwen Jorgensen – Triathlete, ex-CPA turned triathlete…a must watch! I hope you enjoy these games as much as I will!